Are your best performers ready to step up? Surveys show that top employees want to grow, learn and acquire new skills. They value development and want to be continuously sharpening their expertise. Many executives believe that only HR needs to think about how to expand their staff's competence. By completely offloading this they stunt their company's growth. This book helps you examine what to consider when helping your people successfully take on more responsibilities. Most companies' development plans are merely to task someone to do new work and let them figure it out. Then executives are disappointed when the new role isn't fulfilled expertly from the start. The employee is embarrassed and frustrated and may even leave as a result. What can you do to ensure star staff are successful when taking on new responsibilities? How can you help them succeed, not set them up for failure? 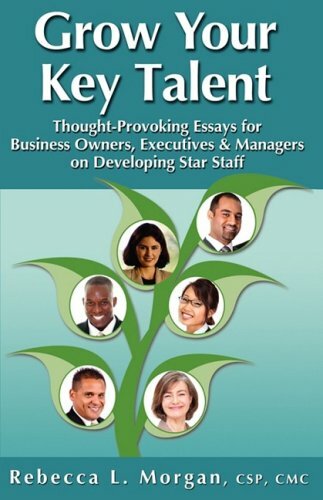 The essays in "Grow Your Key Talent" will help you explore your own philosophies about expanding your star staff's skills.